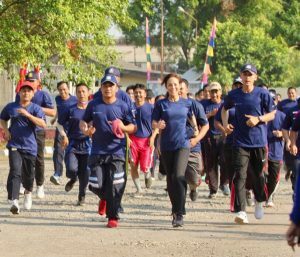 In August 2017, ‘Run with a Heart’ campaign was founded with the aim to promote and educate workers on the importance of healthy living as well as fostering team spirit. The event also serves to further inculcate the values of mutual respect, genuine care, and kindness towards one another; reflecting the idea that the company should be run not just by one’s mind or intellect but also with one’s heart. The event also serves to further inculcate the values of mutual respect, genuine care, and kindness towards one another; reflecting the idea that the company should be run not just by one’s mind or intellect but also with one’s heart. 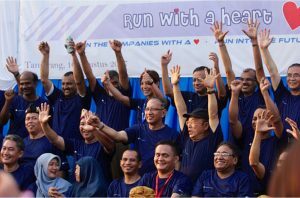 It was also through this campaign that the management and employees agreed upon the theme ‘Satu Hati’, in that Shinta Indah Jaya will always be united as ‘One Heart’. As such, the company continues to drive forward initiatives to support the development of its employees; empowering them to innovate and play a key role in its longevity and prosperity.